The Importance of Termite Inspection Training! Termites are among the most destructive pests in a building, and they do not make things easy on property owners. If you are like most homeowners, you often find it difficult to determine whether or not you have termite infestation. 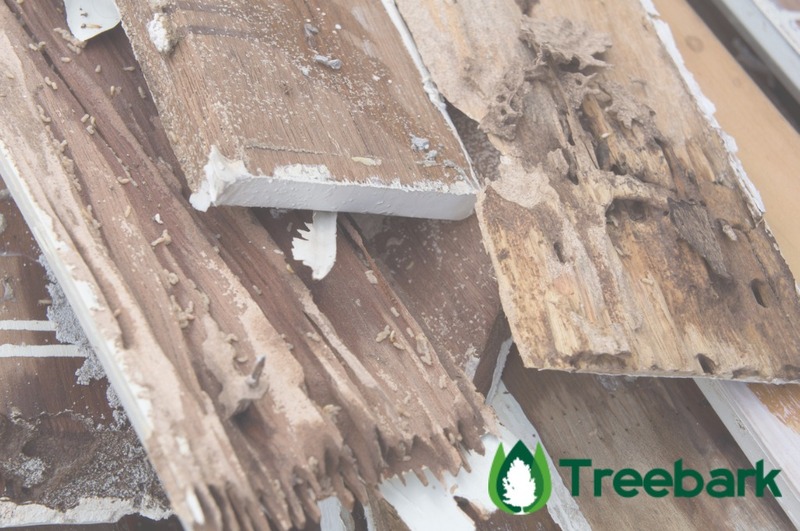 These annoying pests damage wood from the inside out, so you wouldn’t always know if you are dealing with termite infestation until you hire a professional inspection. These experts have gone through an extensive termite inspection training to easily identify whether or not your home is infested by these buggy pests. Let’s start with the factors the Importance of Termite Inspection Training. A termite infestation can go unnoticed for a long period of time until the damages get worse. By then, it can often too late and hard to bring back the integrity of the structure of the home. It could also easily get out of control, which can cause homeowners to spend hundreds or even thousands of dollars on repair. In order to eliminate termites from your property, you need a comprehensive termite inspection done by an expert. Regular maintenance is also crucial to eliminate or mitigate the problem. If you want to make sure that you are getting most out of termite inspection, hire the most experienced and highly trained termite inspectors. Termite inspectors play a vital role in helping homeowners ensure that their properties are free from these destructive pests. They are equipped with the right tools and employ advanced techniques to help mitigate the problem. Termites continue to attack a property as long as the conditions are favorable to them. If the problem is not properly addressed, these creatures can destroy your dwelling or property. Therefore, professionals must always be updated with the newest approach to getting rid of these tiny pests to protect your property, as well as your finances. With proper termite inspection training, homeowners will have peace of mind knowing that those dealing with their property are licensed and trained. They will also live comfortably, with the knowledge that their property is protected. Hiring a reliable pest company that’s licensed and has essential insurance covers is vital. For instance, it’s important for inspection and treatment services to have a license to use different chemicals and pesticides. Those who are trained to conduct a termite inspection service are equipped with the best tools and products that can help them during the process, from start to finish. They are qualified and licensed exterminators who can handle your termite problems efficiently and professionally. Due to the chemicals and tools used to eradicate termites, a termite inspector training is important ad inspector should be licensed in the state or city they work. A comprehensive training for termite inspection is important, so that the experts will be able to effectively meet the growing needs of customers. If you are an inspector, land a job with a good pest control company. When you have undergone the required time on the job of your state, take the test in order to gain your license. Alternatively, you may earn a certification that will teach you how to identify the different kinds of termites and termite damage that can affect a building. You can also take a correspondence course to help you prepare for the examination. Once you have obtained your license, do not stop training. You need to renew your license as a termite inspector on a regular basis. If you want to renew, just prove that you have obtained continuing education credits. This is necessary because the regulations for the use of chemicals and pesticides changes regularly. To remain up-to-date of the termite inspection services and strategies, professionals need to take various trainings to improve their skills. Many homeowners are now turning to professional pest control services, so if you want to become the ultimate destination to the best termite inspection services, get continuing training. For homeowners, don’t stress or get frustrated wondering whether or not you have an infestation in your building. Let the most trusted and highly trained termite inspectors to handle the problem for you. They have obtained an extensive Termite Inspection Training to cater to your unique needs. This is also to make sure that they are getting the most out of their hard-earned money. Thank you for reading our article: The Importance of Termite Inspection Training, Info You Should Know. Thanks for mentioning that the longer termites go undetected, the more damage they can cause. My home was built in the 50s, so I’ve been wondering if I should check for termites. After reading this, it seems like that would be the best idea. Thanks for the great education.